This week John has been going to camp at his new preschool while I have stayed at home to have one-on-one time with Sam. My rationale being that John needed a chance to adjust to going to school by himself, and Sam needed a chance to spend some time by himself with me before Kindergarten started. I asked him what he wanted to do with me--and was game for absolutely anything he suggested-- but his wants were simple. He wanted to cook with me. Yesterday we made cookies together (the chocolate, peanut butter no-bake kind--complete and utter fail. Anyone know why they ended up dry and crumbly?). 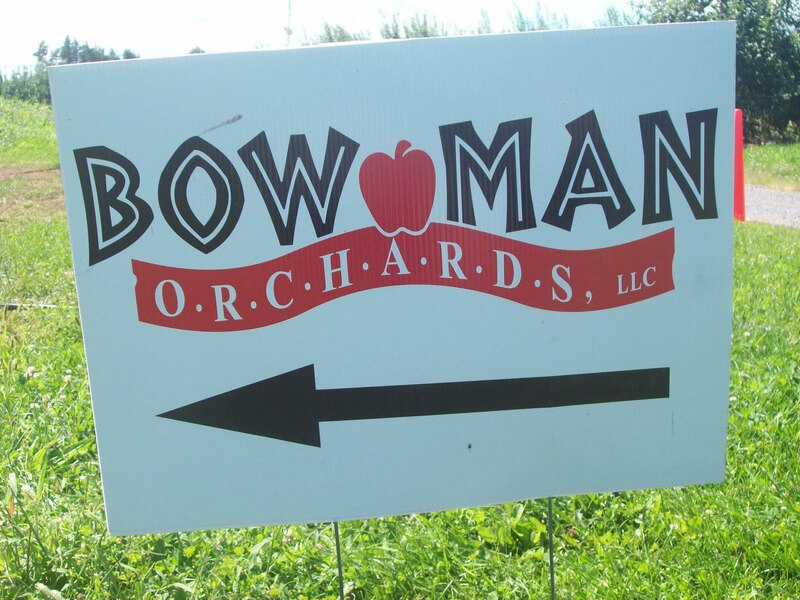 After we picked John up at school, we drove over to Bowman's Orchard to see if there was something still around to pick. 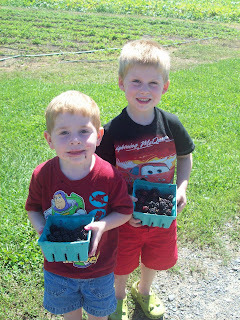 Last year we went raspberry picking several times, but since we have a patch of our own now, we hadn't made it out. 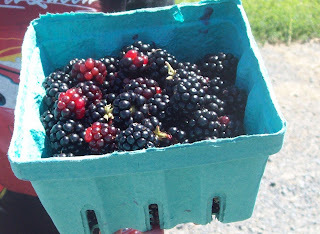 Happily, they had raspberries and blackberries. 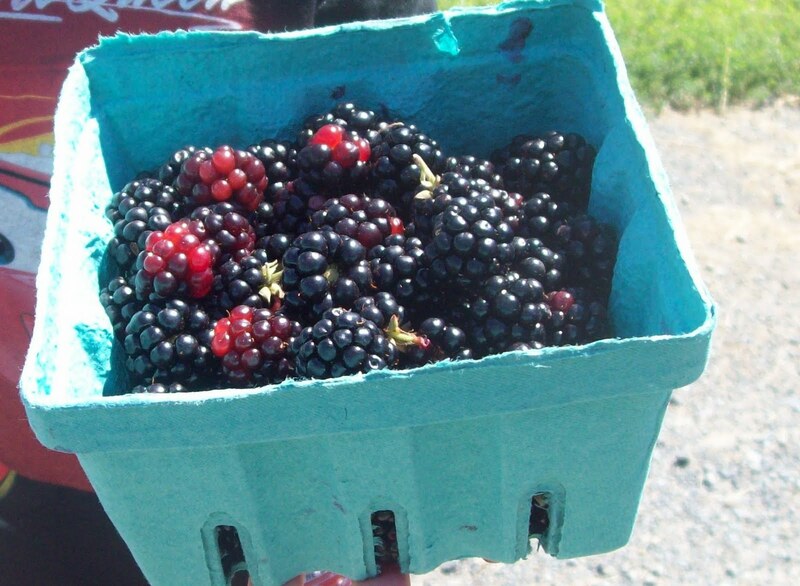 So spur of the moment, I decided we'd pick blackberries--Sam and I could can some jam together as our baking/cooking activity for today. I wish I had known about the pleasures of berry picking in my childhood. Why did it take me until last year to figure this out? And for that matter, why did it take me so long to discover the joys of making jam? They're my new favorite hobbies. The boys and I had so much fun together. Maybe you can see all the blackberry juice on their faces. One thing that I love about pick-your-own produce is how it inspires the boys to eat things they wouldn't touch with a ten foot pole outside the farm. I hate to admit it, but I think John ate as many as he picked, and no matter how many times I told him to put them in his bucket, I was fighting a gastronomic compulsion. And really, who could blame him? They do look beautiful, don't they? And they made amazing jam. Today was the first time I've canned anything effortlessly. It's taken me a few tries, but now I've got the rhythm down and it's no longer an all-day production. I wanted to start the blackberries around 9am, so I ran the jars through the dishwasher starting at 7am, and at 8am, I put the water canner on medium heat and let the water slowly come to a boil. By the time we got home, all I had to do was make the jam and put it in the jars. Easy peasy and done with time to spare.